The hotel has 467 well appointed rooms all are equipped with bathroom, hairdryer, direct dial telephone, air conditioning, TV with digital plus channels, Minibar, safe deposit box and terrace. You can upgrade to the supplementary Club Palace rooms these double and junior suite rooms have sea views, courtesy bathrobes and other amenities in the room, a la carte choice of pillows, fruit and wine served on arrival, tea and coffee making facilities, wooden sun loungers on the terrace/balcony, daily newspaper, seating in La Tosca restaurant, and exclusive check-in and check-out service. 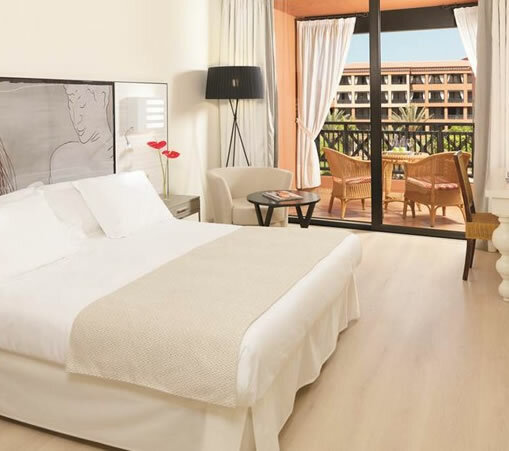 The H10 Costa Adeje Palace has 3 restaurants, El Jable Buffet restaurant with three show-cooking stations (one hot and two cold), boulangerie, themed corners and terrace. La Tosca, ​À la carte restaurant with fine signature cuisine. It includes two terraces, ideal for outdoor breakfasts and dinners. 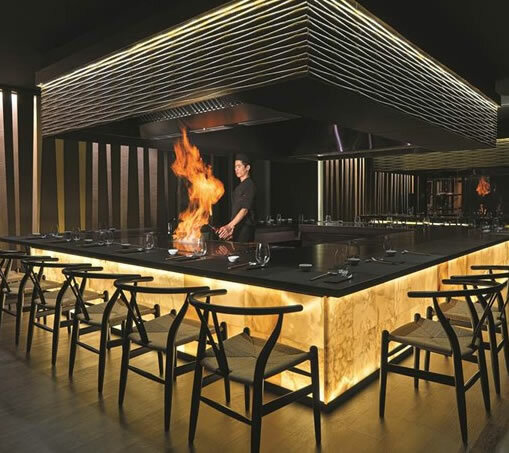 Sakura Teppanyaki, Asian restaurant with Teppan grills. The hotel also has a chill out terrace bar, with Balinese beds, sand area, Jacuzzi and sea views. The hotels variety of facilities are enviable, there are large subtropical gardens with streams and waterfalls, three fresh water swimming pools, (one heated) a children's pool and a solarium. 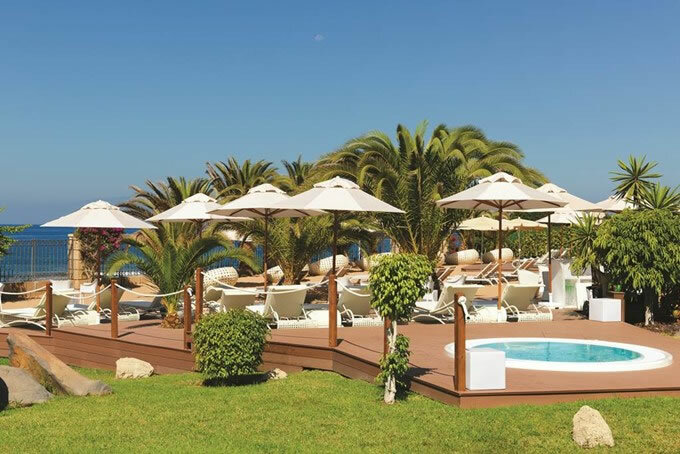 To keep everyone occupied there is a day time as well as the evening entertainment programme, games room, French bowls, giant outdoor chessboard, a sports centre with tennis court, beach volleyball, mini-golf and table tennis. The children have a mini club and playground. The H10 Costa Adeje Palace features a Despacio Spa Centre, where you can unwind and pamper your body and mind. 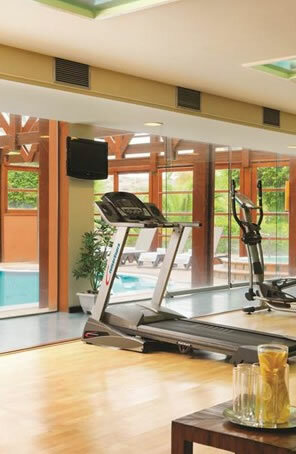 (Use of the Wellness centre payable locally). The hotel provides a free shuttle bus to Playa de las Americas; it has an internet corner, boutique, news kiosk, garage, parking, foreign exchange facilities and 24 hour reception.